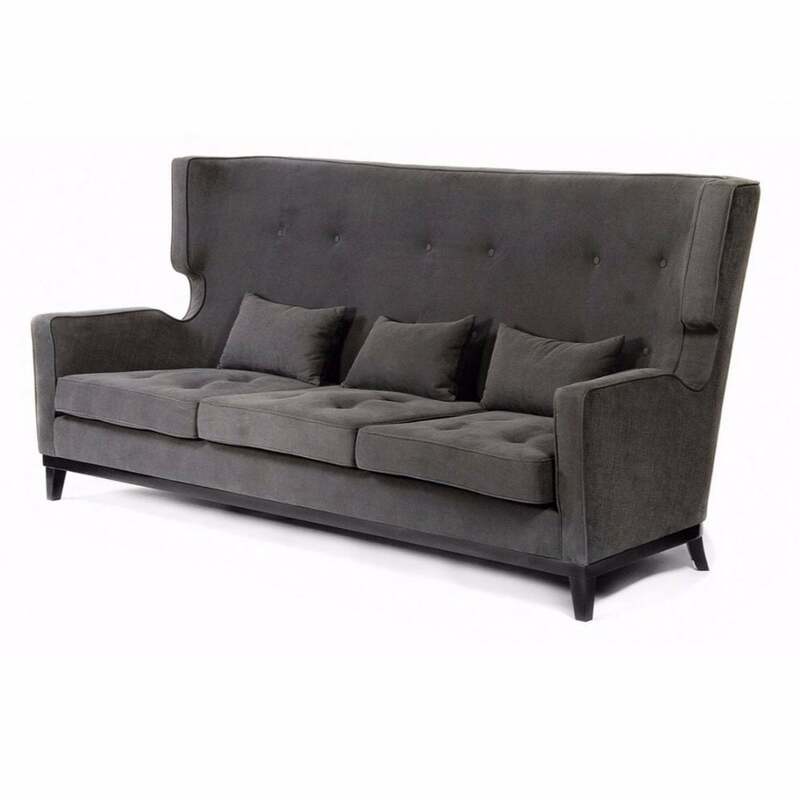 Comfortable high back sofa which is upholstered in dark grey fabric. 1 in stock. Ex-showroom display stock. Item is non-returnable (sold as seen). For further information regarding condition please contact us. No discount coupons can be used against this piece as the price is heavily reduced.